A great introduction to the iconic British mystery writers Sir Arthur Conan Doyle and Dame Agatha Christie, this primer contains the first stories to feature the most famous detectives in literature: Sherlock Holmes and Hercule Poirot. 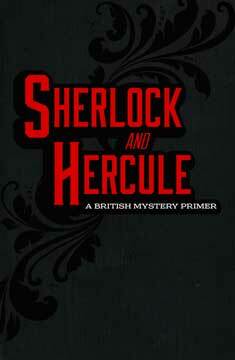 Sir Arthur Conan Doyle's A Study in Scarlet introduces Sherlock Holmes. Dame Agatha Christie's The Mysterious Affair at Styles introduces Hercule Poirot. Sir Arthur Conan Doyle (1859-1930) was a British mystery writer, whose characters, Sherlock Holmes and Dr. John Watson, are world renowned and continually being reimagined for the big and small screens. Dame Agatha Christie (1890-1976) was a British mystery writer, whose characters, Hercule Poirot and Miss Marple, are world renowned. She is considered to be the best-selling novelist of all time, with her books selling more than 4 billion copies.